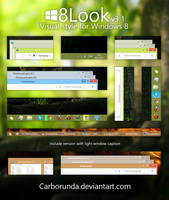 Supports Windows 8 & 8.1 x86/x64. Attention! In Windows 8.1 Microsoft has added an underlay behind the text on windows. 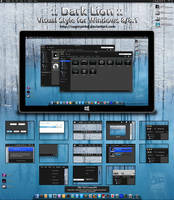 You can try Aero Glass glass8.eu to avoid this, another way - hide titles. Update #11 12.08.2014: Fixed modern apps minimize/maximize bug. Fixed tiles cut off bug when moving on the Start Screen. Update #10 10.07.2014: Added version with glass borders. Update #9 24.06.2014: Fixed graphical issue. Update #8 30.04.2014: Changes for better usability. 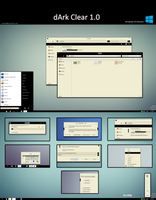 Update #7 05.04.2014: Added Windows 8.1 Update 1 compatible. 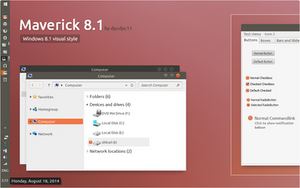 Update #6 23.03.2014: Removed versions with black titles and flat windows. Added shadows to windows. 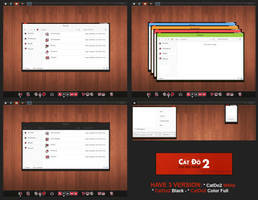 Update #5 17.12.2013: Removed Glass borders version. Added versions with black titles. 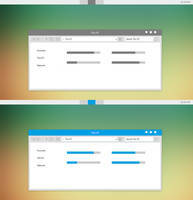 Update #4 23.11.2013: Small graphical improvements and usability changes. Update #3 07.11.2013: Minor changes in Glass borders version. Returned back separator in menu. Update #2 29.10.2013: Replaced background of address bar with transparent image to smooth IE bug. Changed highlight color. Update #1 27.10.2013: Fixed jumplist bug. 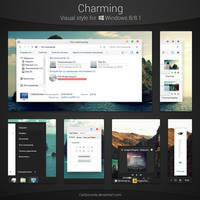 plan to port this theme to win 10? make this for windows 10 v1607? Ради этой темы пришлось удалить каталист и накатить кримсон, а то каталист вылетал с ошибкой. То ли из за темы, то ли из-за рег.файла, разбираться не стал, уж больно темка хороша. Спасибо! Привет, спасибо за такую красоту. Не подскажешь как сместить заголовки окон влево? Суперская тема! Нужно еще что-то подобное в темных тонах. In Windows 10 Microsoft has deleted all taskbar resources from .msstyles file including jumplists, clock & audio mixer area. 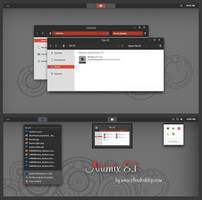 Other elements of the system: Start menu, Notification panel, Universal apps windows - are not customizable too. So, I see no reason to port Snowy8 on Windows 10. I know about this. 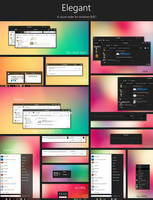 Taskbar is a customizable now, but not fully, only background is available, and it is enough. But the new problem is that Microsoft updates .msstyles file on every major update, so I will need to completely rebuild my style two times per year. That's not good and will take a lot of time. 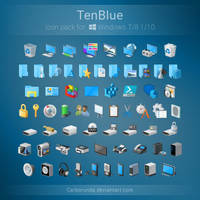 But here is another way - WindowBlinds 10. It is now in closed beta and it allows to fully customize taskbar, has build-in window tranparency and once created style will work on every new Win10 build. If I will start to port my VS on Win10, I will notify people here. But now, I am waiting when software and win10 will be not so raw. You could still make custom Msstyles for Startisback. Longhorn Revealed 10 takes advantage of this and it works really well. What program do you use to disable Ribbon bar? I try OldNewExplorer 1.0.6 but it doesn't work. 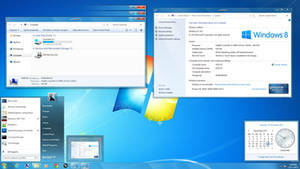 It give me a white screen and i have to restart the Virtual Machine. Looks terrible. And as I said, and as you can see, a lot of elements are not customizable. Here is my win10 desktop with Snowy. I think i stay longer on Win 8.1 for this reason. Man, your theme is AWESOME. 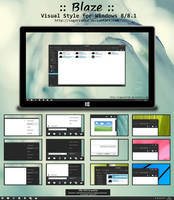 No chance for a barebones version, just the gradient taskbar, start button maybe. I'm willing to donate for it makes a huge difference for me and many other. I don't have this bug. It's a problem with your system. There will be a Windows 10 port? Only after the final version of Windows 10 will be released. It's here! 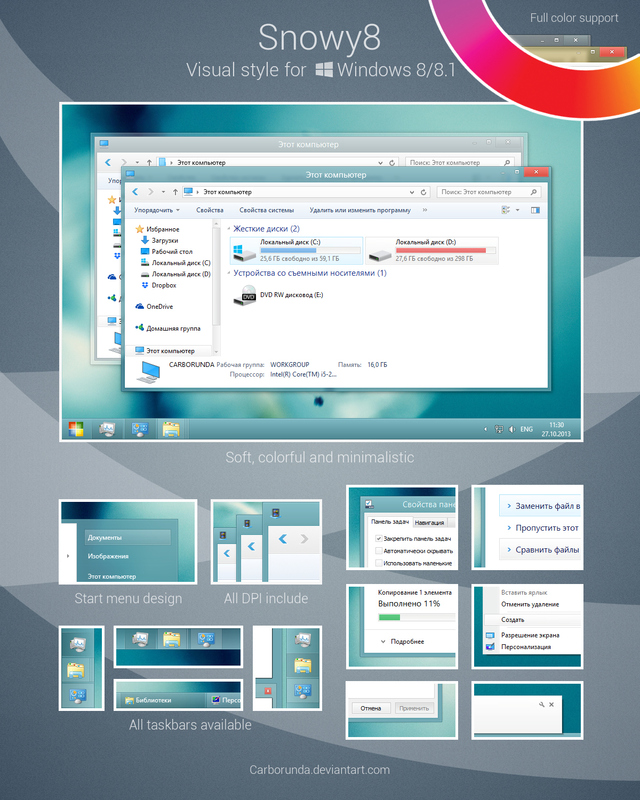 the final version of Windows 10! Doesn't work on Surface Pro 3 using 200%DPI, and when I switch back to 150% DPI it works. 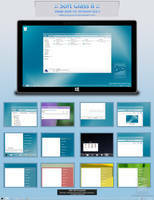 Sorry, when I made my style for Windows 8, there were only 100%, 125% and 150% DPI. In Windows 8.1 Microsoft added new DPIs. 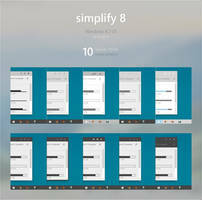 So, my style doesn't support them, because Snowy8 based on win8 default aero style. 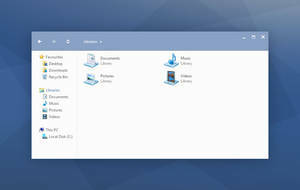 How do I get that start menu icon? Disable this feature in OldNewExplore. In my theme adress bar has a background. ONE doesn't hide it. To add compatible with this feature I must to make another version of the Snowy8. But this is not rational. Help!!! 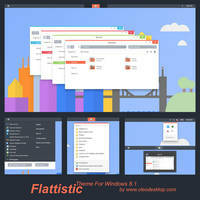 How can I download this theme? 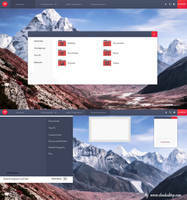 Great theme! But when I apply the registry file my AMD CCC crashes. Anyone else getting this? Hello, as I put the menu in startisback? I pasted the files in the user folder / appdata / local / startisback / styles did not work. Странный ты, по-английски написать комментарий смог, а вот файл ReadMe.txt читать не стал. Внимательно его прочти, я там предлагаю 2 решения этой проблемы. Я кстати в Readme все перепробовал, зря ты говоришь что я не читал Readme. Мне ничего не помогло. Я думал ты не русский и не поймешь меня. Hi. it is possible to do a rounded corner version? BTW It's a beautiful work, Congratulations ! 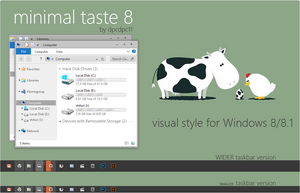 It's great theme in Windows 8.1, thanks! everytime i apply it the window border is completely screwed up.